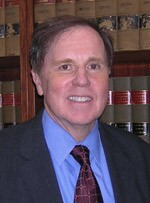 Peter P. Zeltner joined the firm in 1971 and was a partner from 1977 until 2011. He is currently Counsel to the firm practicing principally in the areas of estate planning estate and trust administration, real estate, commercial leasing and closely held businesses. 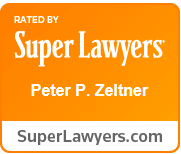 Mr. Zeltner has an AV rating from Martindale Hubbell for over 25 years and has been named a Super Lawyer in 2007 and 2013 through 2016. He was a past president of United Way, Scarsdale/Edgemont and a founding director and past president of The Westchester Artificial Kidney Center. Fordham University School of Law, J.D. Case Western Reserve University, A.B.